LKK was established in 1888 so it has a rather magnificent 125 year history. Starting with just Oyster sauce it now has a range of over 220 sauces and condiments. So far I’ve used both the Char Sui sauce, the sesame dressing and the Chilli Oil. 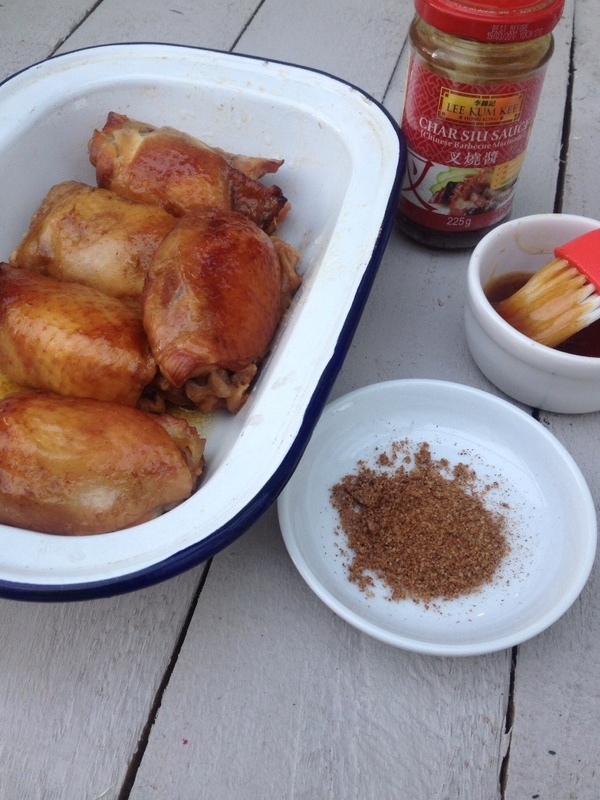 I created a really easy BBQ style Chinese Chicken which is cooked in the slow cooker before finishing off on the BBQ, Grill or Oven. As our British Summer has officially sucked when it comes to weather we of course had to use the oven but we still had amazing results. *This served 2 hungry adults with leftovers. Marinate your chicken in 1/2 of the jar of sauce,cover and refrigerate for a few hours. Place in slow cooker on high for 3.5 hours. Before removing from slow cooker preheat your oven to 200C. Place the chicken in a roasting tray without the oily stock from the slow cooker. Now brush with the remaining sauce and sprinkle over your 5 spice. Roast for approximately 15-20 minutes until it looks barbecued and delicious! 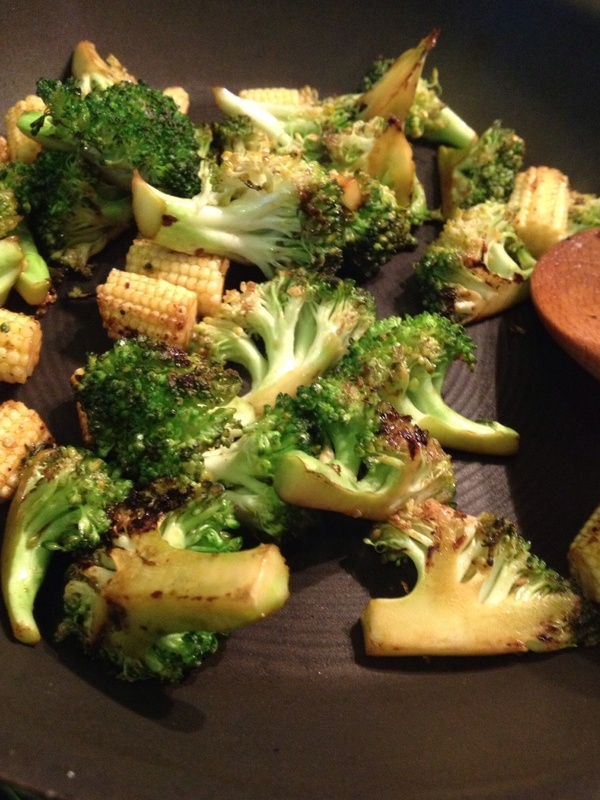 We also made a quick stir fry of broccoli and baby corn with a little of the LKK sesame dressing to serve alongside. 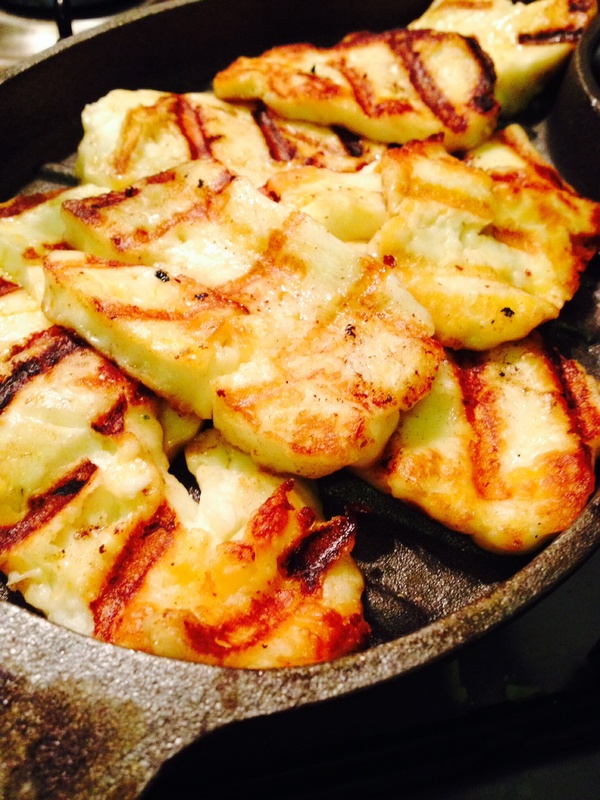 Whenever we have a BBQ I insist on having Halloumi – it’s a fabulous accompaniment to the meats and is perfect when griddled or barbecued as it stands up to very high temperatures. I drizzled these with Lee Kum Kee Chilli Oil prior to griddling and it does create a lot of heat but as long as you can handle it then it’s absolutely incredible. Cut your Halloumi into thick slices. Place a griddle pan on and heat until smoking/or use a hot BBQ. Drizzle the halloumi ( not the pan ) with chilli oil and place carefully on the pan. Cook for a few minutes on each side. Watch carefully as you don’t want them to burn. You want them to be softening but browned beautifully on both sides for maximum flavour. Serve with the BBQ Chinese chicken, rice and vegetables. *I was sent a selection of sauces from Lee Kum Kee to try out and I was compensated for the additional ingredients and my time in creating the recipe. 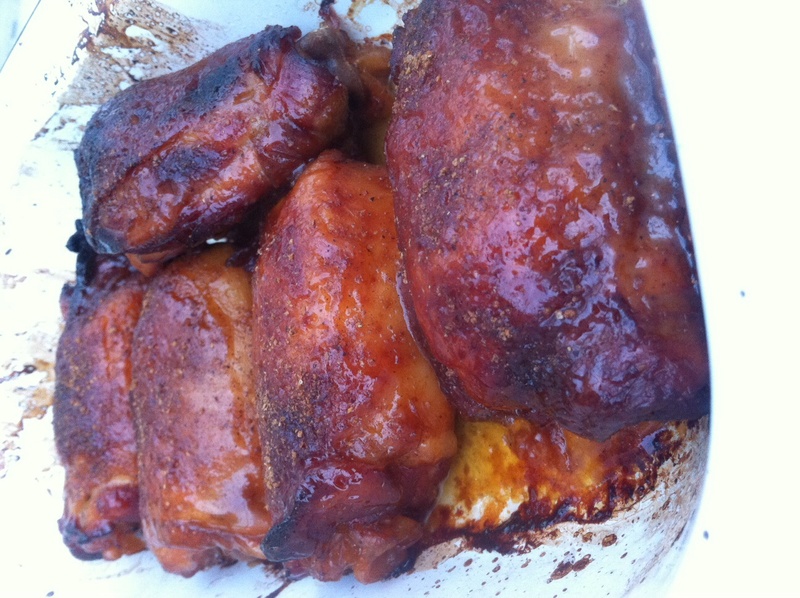 Mmmm, those chicken thighs are right up my street! I’ve tried another of their sauces and thought it was tasty so must try this one. Lovely idea to start in the slow cooker and finish on the grill or BBQ. I like lkk so nice to learn their history.